What’s a Flight Centre Concierge and how can they help me book my holiday? Flight Centre’s exclusive free concierge service is primarily for our Journeys customers booking tailor-made holidays. Whatever requests you may have — restaurant recommendations, tips on the most thrilling tours to take, or advice on what visas and vaccinations you need — our Concierge team will endeavor to assist you. We even helped one customer propose to his girlfriend! What makes you qualified to help? Have you visited all the destinations you advise on? Flight Centre has more than 18,000 employees worldwide. In our team alone, we have 20 years of experience working in travel. We’re either from, have lived in or have visited most of the destinations we cover, plus we can draw on the expertise of our vast team of local Travel Experts. What are the key things holidaymakers need to plan for their trip to Australia? There’s the practical stuff — passport, ETA visas, travel insurance, sun cream, a hat, insect repellent and sunglasses — but there’s the fun stuff too! If you’re an avid snorkeller like me (see above), don’t forget to pack your underwater camera for the Great Barrier Reef. Or for an unforgettable experience, let us help you book that hot-air balloon ride/helicopter tour/koala-hugging encounter (delete as applicable!). What if I need a recommendation for a vegetarian restaurant in Brisbane or advice on which beaches to visit first? Is that the sort of thing you can help with? Definitely! Australian food is amazing and most restaurants cater very well for vegetarians. In central Brisbane, Kitchen Sanitarium is a great option for breakfast or lunch, or there’s a lovely vegan option called The Green Edge, which is open all day. If they fancy being a bit more adventurous, then Greenhouse Factory in Coolangatta on the Gold Coast is about one hours’ drive away. It’s fabulous. The beach question is hard to answer! Most of the beaches in Queensland are paradise. 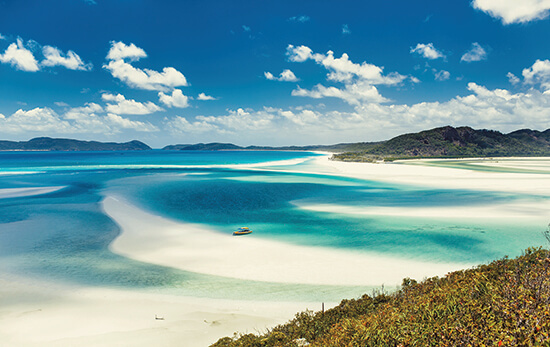 If I had to pick one, I’d pick Whitehaven Beach. It is frequently voted one of the best beaches in the world and has the softest white sand. It is simply heaven on earth. You can see rays swimming past while you’re walking down the beach. Also, you must visit Cape Tribulation, a unique spot where two UNESCO-listed wonders, the Great Barrier Reef and Daintree Rainforest, meet. 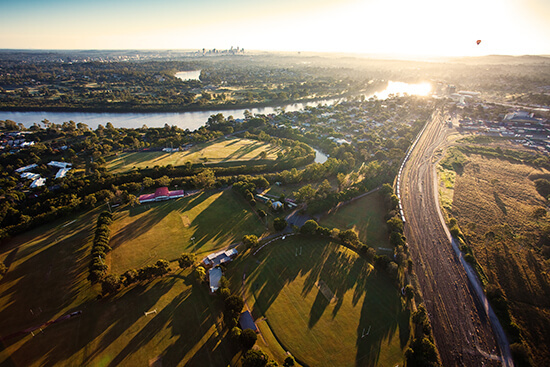 What one thing would you recommend travellers do before flying to Queensland? Book in tours. Travellers often want to book locally as they think it is cheaper, but this isn’t the case. By booking in advance, customers can ensure they get the tour they want, on the day they want, for the best available price. What would you say are the key dos and don’ts when it comes to visiting Queensland? Anything to avoid? Do stroll on a secluded beach; do visit the Great Barrier Reef; do sample food and wine in the Atherton Tablelands; do learn to ride the waves at Surfers Paradise; and do cruise the Whitsunday Islands. Don’t forget the cities either: we love Cairns and Brisbane — they have plenty to offer too. But the big don’t? Don’t leave your hotel without your flip-flops (or thongs as they say in Oz!). In fact, there isn’t much point bringing any other footwear really, unless you’re planning to go on a trek or hit the Outback. What are your top three pieces of advice to make the most of a holiday in Queensland? Allow yourself enough time to explore the state so you’re not rushing. 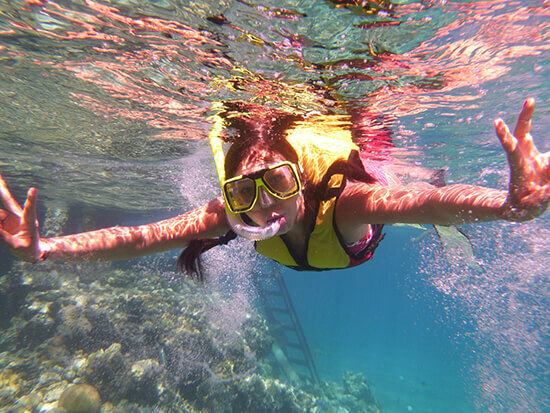 Buy a waterproof camera or GoPro to capture the amazing Great Barrier Reef! And make sure you don’t get stuck behind the wheel of a hire car — a road trip is pointless if you’re not soaking up your surroundings, especially in Australia. Explore Queensland with Flight Centre's Concierge team by your side – speak to one of our Travel Experts today about booking your tailor-made Queensland Journey.